All medical professionals face the same problem – constantly up against the clock while trying to save lives. This involves plenty of teamwork, particularly in trauma teams and emergency surgery. Delaying an extra second could mean someone’s life, so it’s vital that team members work together seamlessly. But even the most efficient teams need a little help. Professional radio communications can solve all sorts of issues, but most of them boil down to four problems that many medical professionals struggle with. Efficient cooperation is critical for any operation. Yet, in many cases, communication between teams is still based on one-to-one calls and time can be lost. But there is a better way - TETRA group communication lets you talk to a group easily. For example, all nurses on a night shift could be one talk group. They can quickly ask the others for backup. Patients can be handled more quickly when radiology and ER can talk together in a group. With one simple, push-to-talk button, a user is connected to many colleagues at the same time, cutting the need for one-to-one calls. The result is vital minutes saved in the race to save lives. TETRA group communication also offers a better picture of a patient’s journey through treatment. For example, laboratory staff know where to find the patient and the blood bank knows when the patient is in the operating theatre – efficient co-operation means staff can get results in their everyday work, while in emergencies, the risk to life is minimized. But it’s not just medical teams who can benefit from effective and reliable group communication. Support functions in a hospital also play a crucial role in keeping everything working, from technical maintenance staff to catering, couriers and security staff. Doctor Harri Pikkarainen knows the value of flawless communication. See our video on the top issues in an emergency doctor’s job and how TETRA communications can help. During an emergency, alerting trauma, cardiac and other teams in hospitals is an urgent priority. But team members are not always in one place or in one area, and need to be called up and formed, often in a hurry. Old methods of gathering a team are slow - some hospitals make calls one-by-one, and alerting many people from specialist units like imaging and surgery is a surefire way to lose critical minutes. The lines may be busy and with no way to prioritize calls, you won’t be able to get through to the people you need in time. For example, saving three minutes when calling up members of an emergency Caesarean team may not sound like much, but can make a very big difference for the baby’s future. If it suffers oxygen deprivation, the baby could be seriously disabled and cause huge care costs for the medical service during its lifetime. The same applies to trauma patients with severe injuries. 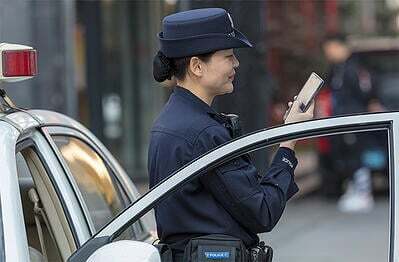 TETRA proves its worth here – using a TETRA group, everyone gets the message within a minute and can then acknowledge and confirm the status of the task. An application can automatically track messages, making situations clearer to everyone involved. They can also report the tasks as completed. TETRA makes it easy to alert everyone needed for a task delivering the same information at the same time – a rapid response to a rapid need. 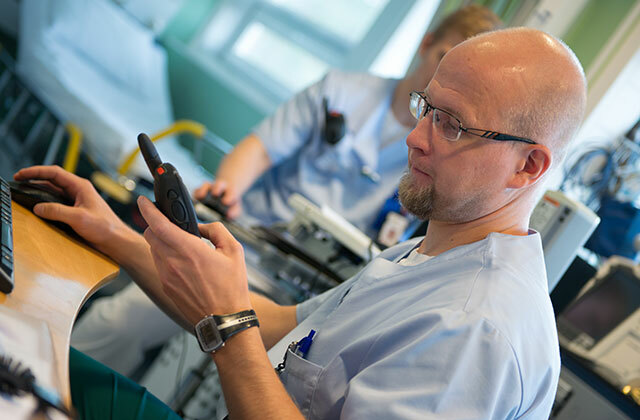 Using TETRA has already transformed the working lives of many medical professionals, giving them instant communication with their colleagues. Discover why these emergency nurses would not go back to using cell phones. Healthcare and medical professionals face many risks as they go about their daily business. These can include mentally unstable or violent patients, thieves, drug abusers and others wanting to benefit from crisis situations. And what about a fire at night or medical emergency during an intra-hospital transit? If there is only one nurse on duty, what are they to do? Call for help one-by-one from neighboring units? 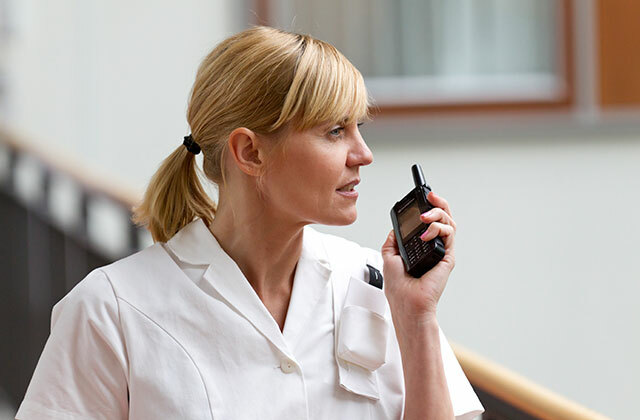 With a TETRA radio, help can be called at the push of an emergency button, alerting security staff who know the buildings and can get there quickly. Help can arrive before a situation gets out of hand, improving the safety of both patients and staff. Medical professionals often need to communicate with other authorities, such as an emergency response center, ambulance services, health centers, medical helicopter services, and police and social services. What happens if they must use more than one device to do that? How many devices, chargers and accessories will they need? TETRA talk groups are a powerful way of bringing people together to work in a shared TETRA network. Each user organization can have not only its own unique talk groups in their radios, but also shared talk groups that allow different organizations to communicate during emergencies. With one push of a button, they can communicate directly with the members they need – all at once. 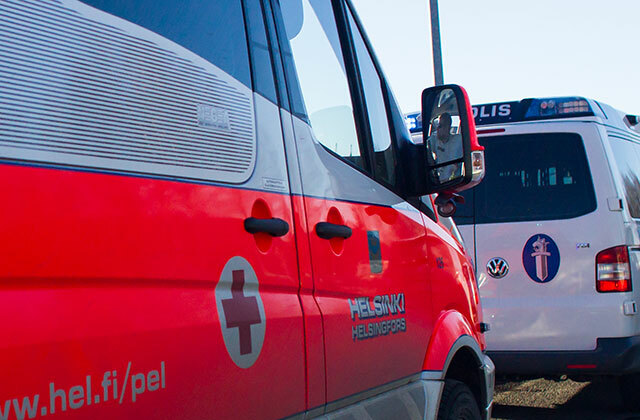 TETRA radio communication not only allows a coordinated multi-authority response, its independence from commercial networks means it will probably be the last network still standing – just the right service for mission-critical users like healthcare professionals. And even if legislation prevents shared talk groups between different authorities, special solutions like Call-out over TETRA allow temporary talk groups to be set up easily. Still not sure if TETRA is the right choice for your hospital? Download our “Myth-buster: 5 wrong ideas about TETRA in hospitals" and get the facts on bringing the benefits of TETRA to your medical teams. 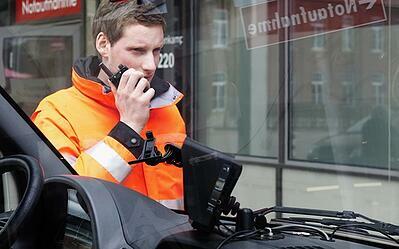 If you want to use TETRA but don't know where to start, here are five steps to get you going.